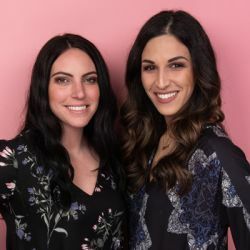 We are Oriana and Sabrina, the founders of Atelier Bloom Montreal. Welcome to our workshop and creative space. After joining forces in November of 2017, we knew we had to make our mark on the contemporary art world. By combining our talents and focusing all our energy in our work, we hope to catch your eye and stand out amongst the crowd.